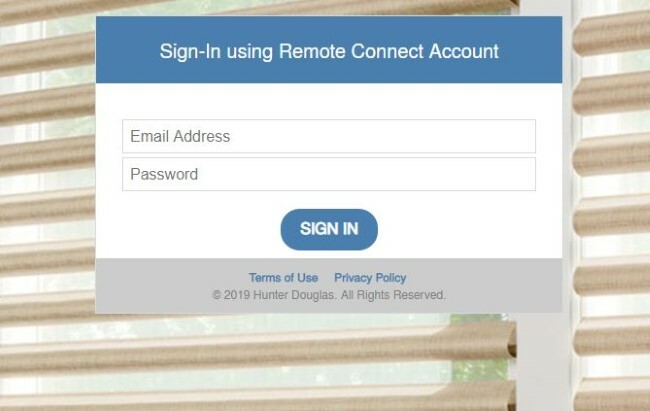 In our previous blog, we spoke about IFTTT, a free platform that allows you to connect multiple devices and apps to create a fully automated experience, and how this platform can help you get more out of your motorized window treatments. Whether you are a home automation enthusiast or you are a beginner, you can create a personalized whole-home connected experience by integrating PowerView Motorization with compatible smart devices and apps via the IFTTT Platform. Install the IFTTT Application on your smartphone or tablet via the App Store (if using an iOS) or Google Play Store (if using an android). If using a computer click here. Create your IFTTT account by using an email and password, or you can connect via your google or fakebook accounts for faster set up and future log-ins. Sign into your Remote PowervView® Account. 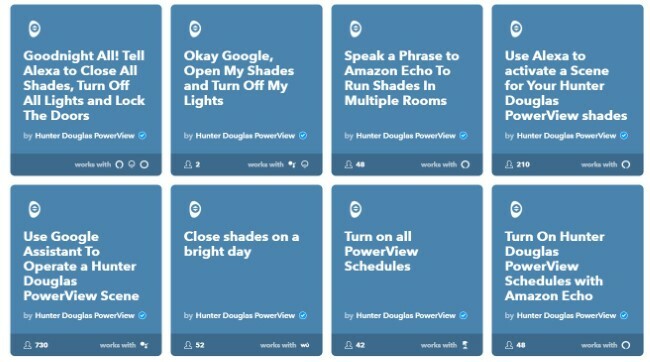 You can now use the existing applets in IFTTT to connect your Hunter Douglas PowerView ® motorized shades to amazon Alexa, Phillips, weather apps, Lutron Electronics, Crestron Home Automation devices and so much more. Take a look at a few sample applets below. Don’t See an Applet You want, you can suggest a new one to IFTTT! Ready to create a space that is fully integrated? Contact Shades By Design today for your FREE motorized window treatment consultation.